Recent Rackham alum Molly Range helped model the tsunami that originated when a comet or asteroid struck the Earth approximately 66 million years ago, contributing to the downfall of the dinosaurs. Diversity in STEM fields has been a challenge for decades. To better understand this dynamic, one Rackham alum looks at the experiences of those entering and engaged in STEM study. 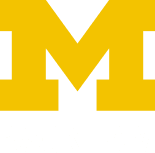 Rackham Graduate School partners at multiple levels with every school and college on campus to ensure the quality of graduate education, encourage innovation, and build a vibrant and diverse student community. Stories, blog posts, and more illuminating the experiences of graduate life and highlighting the impact of our students’ critical research. VTOLs—which combine the convenience of vertical takeoff and landing like a helicopter with the efficient aerodynamic flight of an airplane—could play a niche role in sustainable mobility for longer trips, according to a new study. Browse statistics and interactive visualizations of the activity and culture of our graduate programs, including data on enrollment, funding, completion rates, and placement.